Tavour is a beer subscription service to make any beer lover go bananas. They scour the country looking for amazing beers and each day they surface a few via email and their phone app. 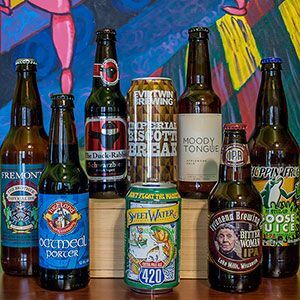 If your beer lover finds something they want, they add it to their monthly box. At the end of the month they receive a box of goodness full of the gems they discovered all month long. It's a truly engaging beer experience — the writing is excellent, the beers are generally fascinating, and it's a daily thing (if they want it to be).